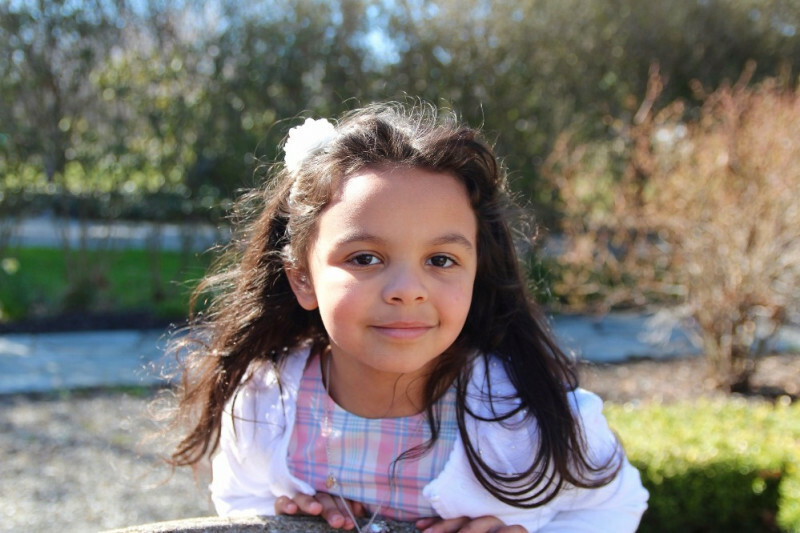 Posted on February 19, 2019 by William A. Flowers are a cheap and easy way to instantly infuse any space with energy and life, so having a few amazing glass vases on hand is an absolute must. 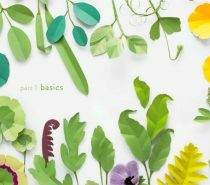 Whether it be the foyer, bathroom, waiting room, or bedroom, any room can benefit from a great floral arrangement or a few lush plant clippings in the perfect vase. Not into flowers or plants? No problem! The majority of the picks on our list look great empty too. 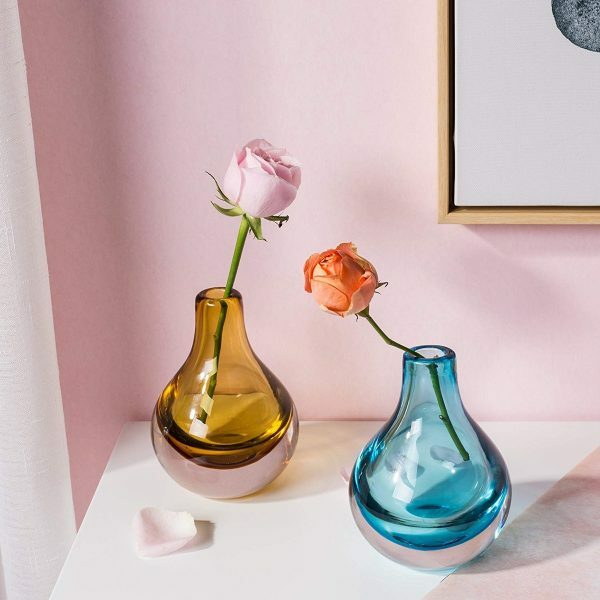 Whether the perfect vase for you turns out to be a minimalist glass vessel, a loud and proud geometric beauty, or a quirky pink flamingo, our glass vase collection includes a little something for everyone and every budget. 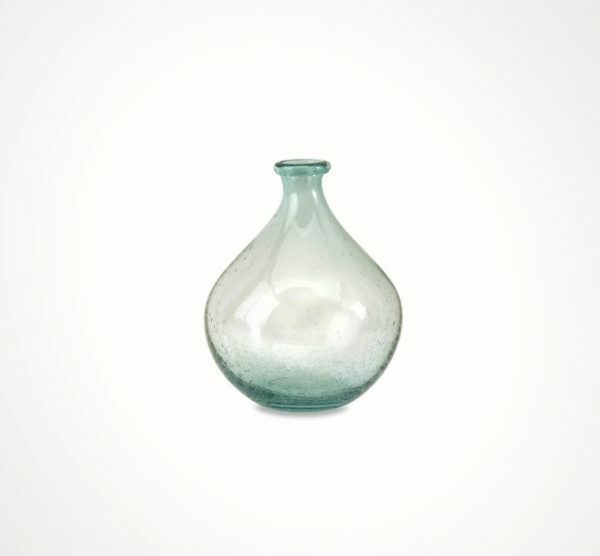 Recycled Spanish Glass Bubble Vase: A friend to your decor and the environment! 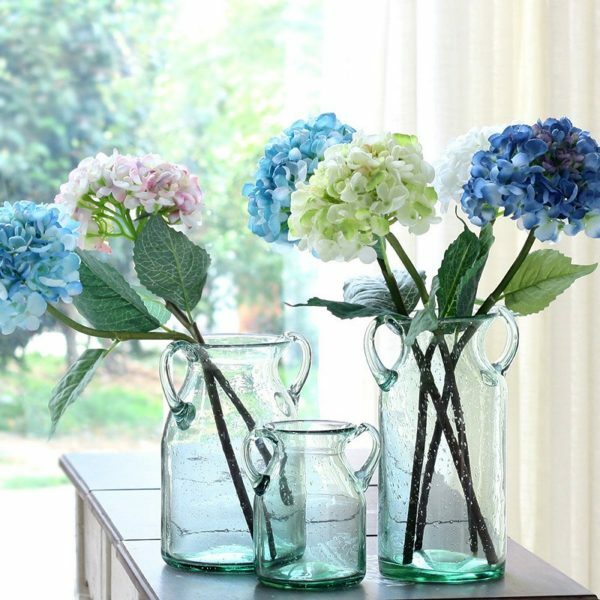 This recycled glass vase will look sharp whether it is displayed solo or overflowing with a few of your favorite blooms. Available in 2 sizes. Sculptural Glass Vase Mounted On Wood Base: A glass vase that takes a unique approach to organic design with its rough wood base and molded glass top. 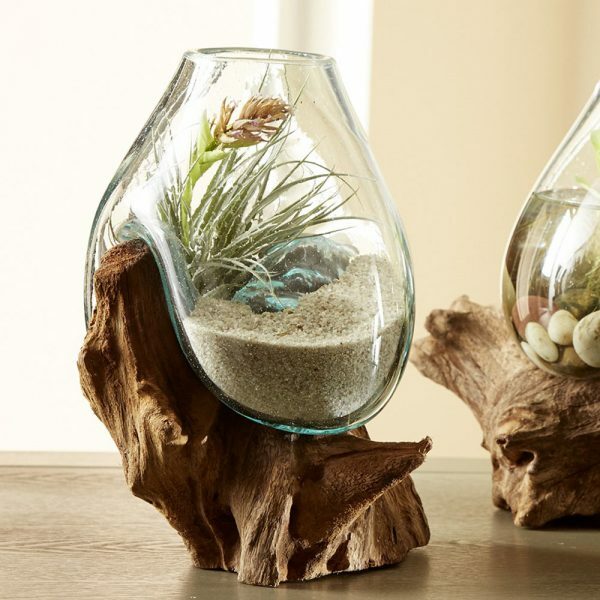 Each piece is one-of-a-kind, crafted for reclaimed teak roots and recycled glass. 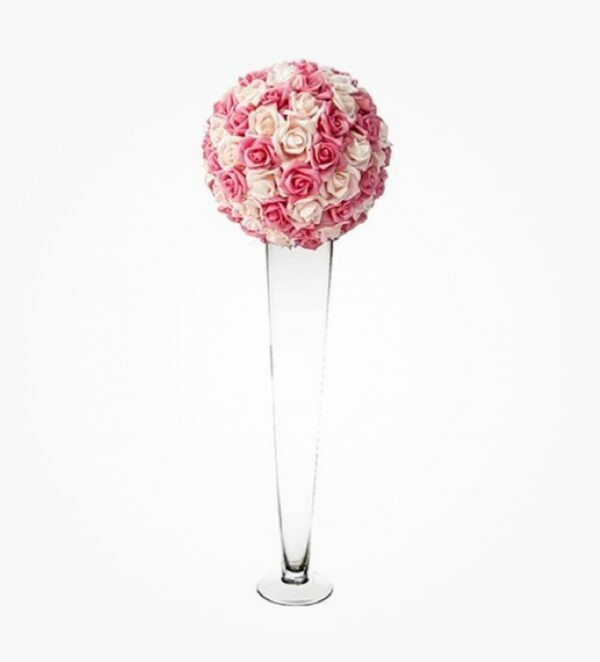 Artistic Pink Glass Vase: Add a feminine touch to any space with this artistic pink vase. With a wavy motif that adds a dash of dimension, this is one decor piece that you don’t want to miss. Also available in Blue. 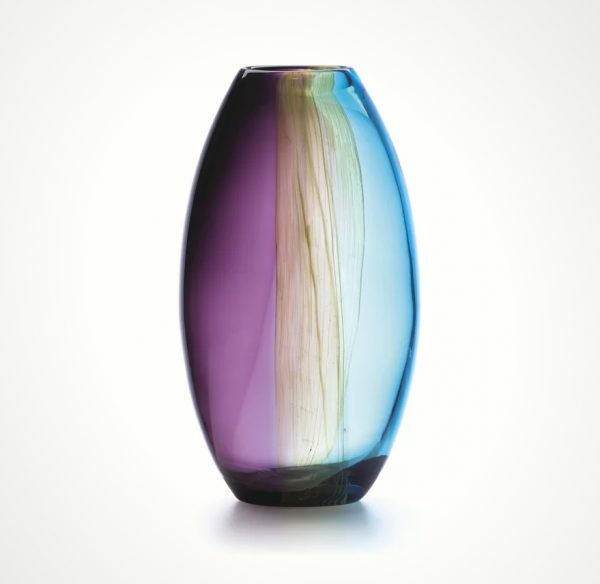 Colored Ribbed Glass Vase: A pop of color at a price that will make your wallet sing. These affordable glass vases are handcrafted, mouthblown sensations that come in 4 beautiful color options: Blue, Blue Grey, Violet, or Smoke. 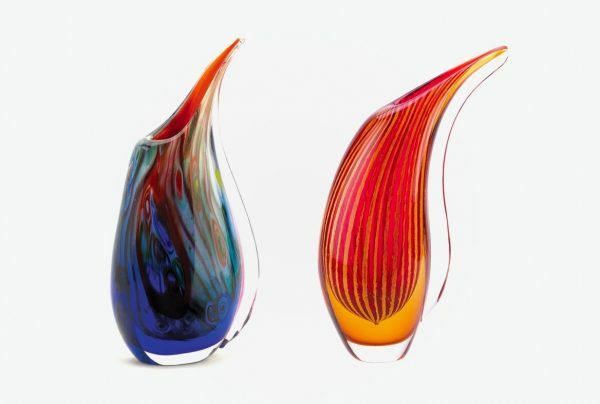 Colored Faceted Glass Vases: A glass vase with a swoon worthy shape and color combo. 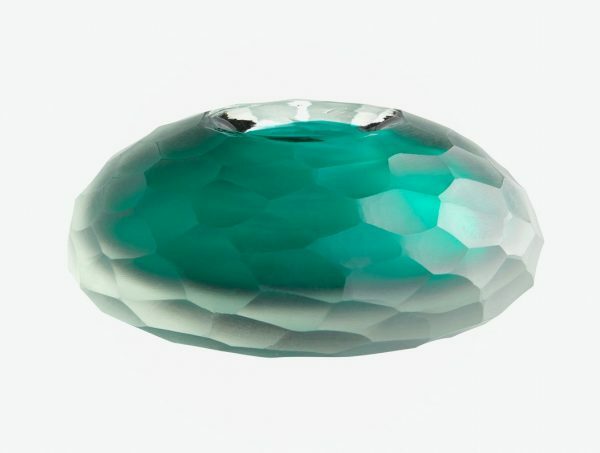 This diamond shaped vase is available in Turquoise, Blue, Purple, or Yellow. Colored Amber & Blue Bulb Shaped Glass Vases: A bright idea for any room in your home. 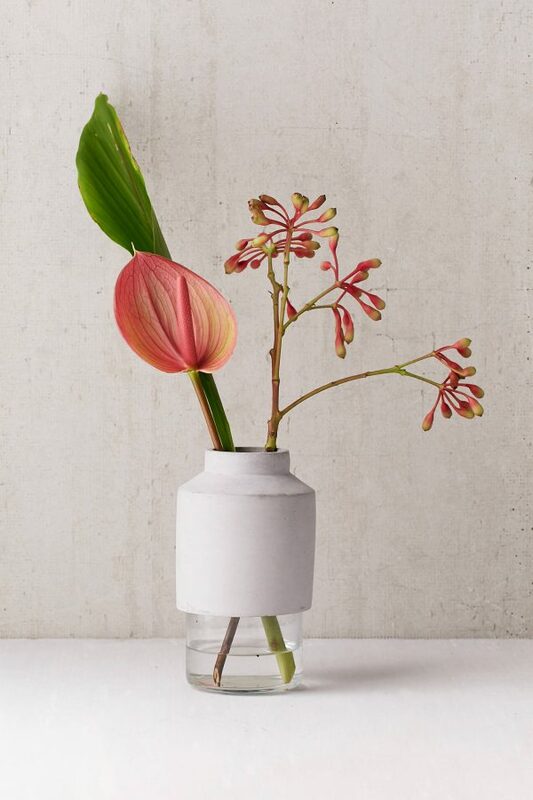 This bulb shaped glass vase is a must to display a single clipping or bloom. Available in Blue, Amber, Brown, or Smoke. 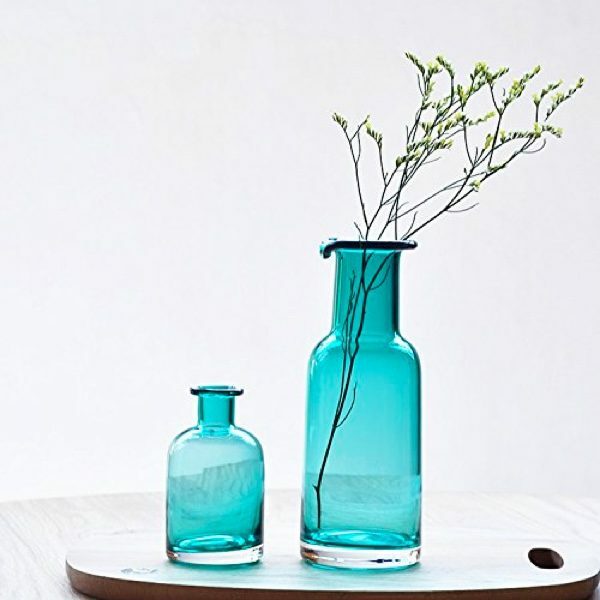 Turquoise Glass Vase: A turquoise vase duo that is easy on the eyes and your budget. Great for floral arrangements, home decoration, and wedding centerpieces. 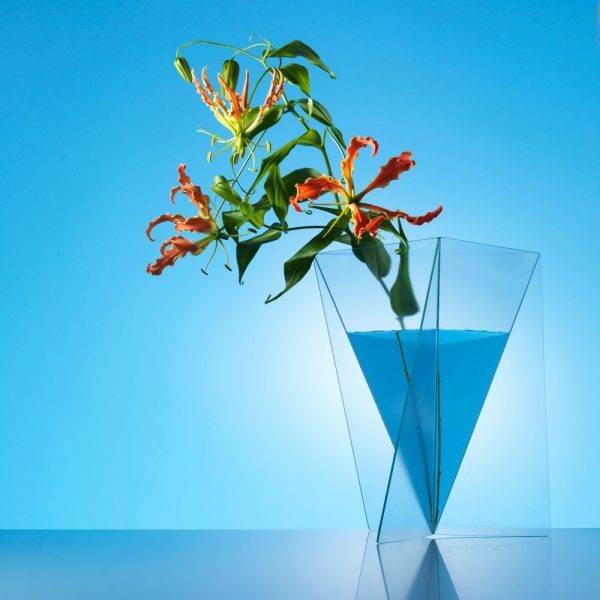 Colorful Glass Vase: Colorful vases that don’t need any lavish flowers to stand out! 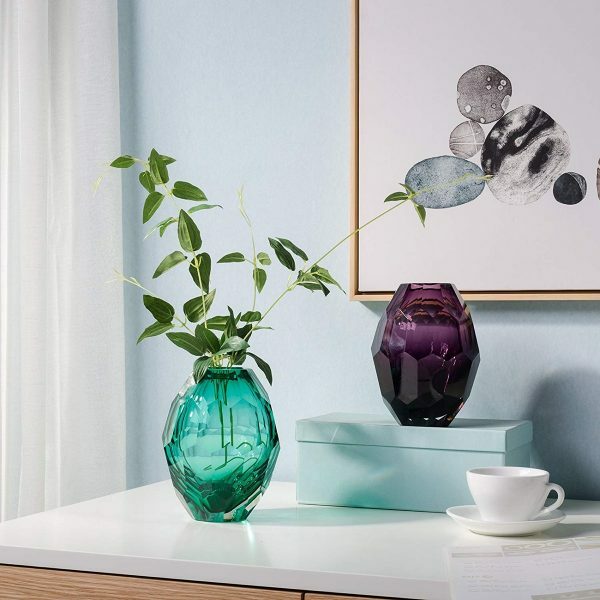 With their gorgeous forms and bright coloring, these vases are like little pieces of art for your mantel, side table, or anywhere you choose to put them. 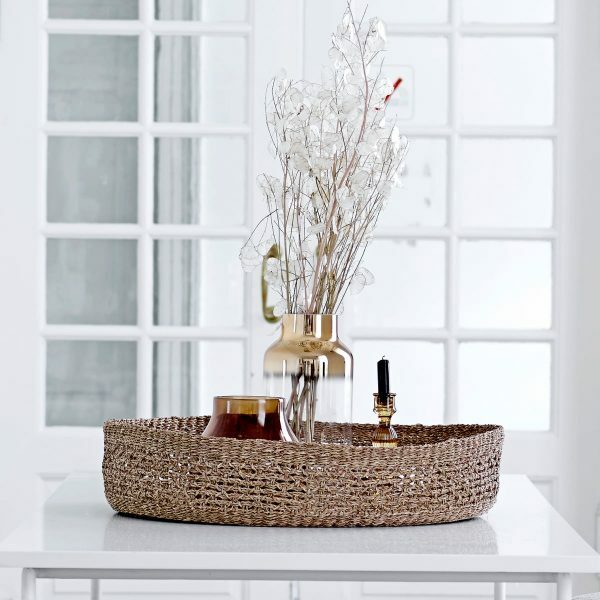 Glass Bottle Vase: Add to a grouping for a dramatic display or display alone for simplistic elegance, either way this vase is a stunner with its full body and slender neck. Bonus: If there ever comes a time when you feel this vase no longer serves your decor, it can be repurposed as a water pitcher or even a container to ferment small batches of wine or beer! 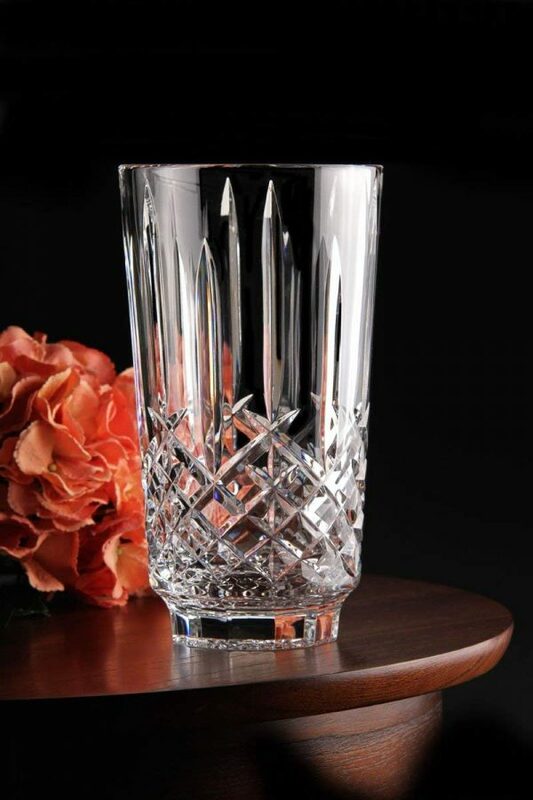 Cut Glass Vase: Made from Lead Free Crystalline this cut glass vase is oozing with classic sophistication. A must have for any home that is looking to add some elegance to their decor at a budget friendly price. 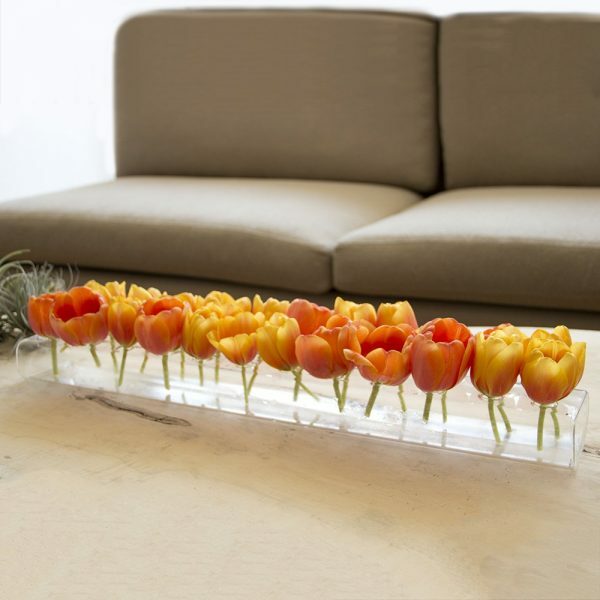 Long Rectangular Glass Vase: Stretched across any table this long vase will look great with either fresh blooms or artificial flowers. It was even named one of Oprah’s favorite things! Glass Vase With LED Lit Base: Put the spot light on your favorite flowers or leaf cuttings with this LED lit glass vase. With its 6 hour timed light that can be scheduled to turn on every 18 hours, this is the perfect discreet and stylish night light for hallways, bathrooms, or anywhere else that can use a bit of illumination. Available in 2 shapes. 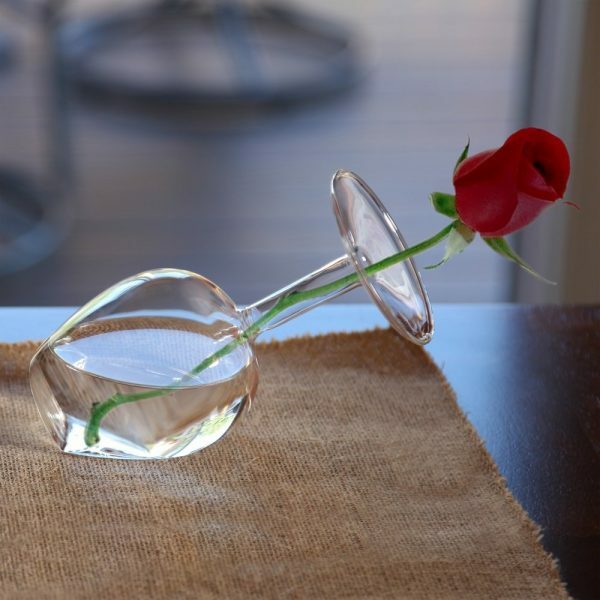 Wine Glass Vase: Looking for a fabulous gift for the wine lover in your life? This is the vase that they need! This topsy-turvy wine glass won’t hold their next vino, but it will look ultra stylish displaying a flower or two. 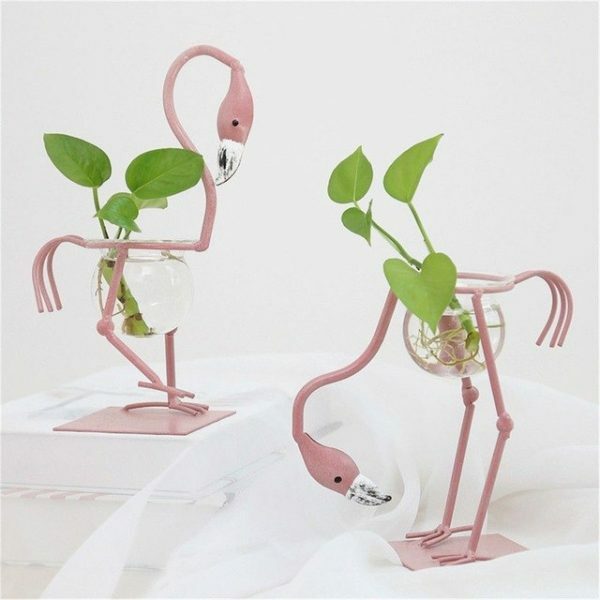 Flamingo Shaped Vases: Fun and affordable, this vase makes sure that pink flamingos aren’t just for the front lawn anymore. With three poses available, these silly birds are available as singles or a set. 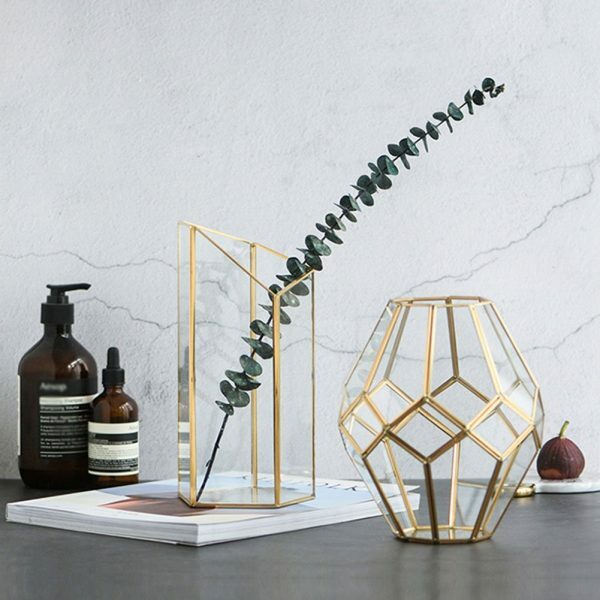 Geometric Brass & Glass Vase: Modern elegance has never looked so chic. These multi faceted vases with their edgy angles highlighted in bronze are sure to turn a few heads. 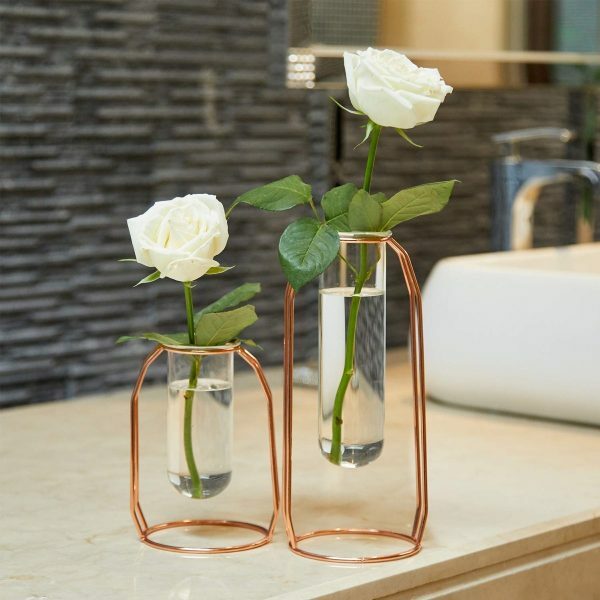 Minimalist Glass Vases On Wire Stands: Science, nature, and design come together to create these stunning, test tube style vases. 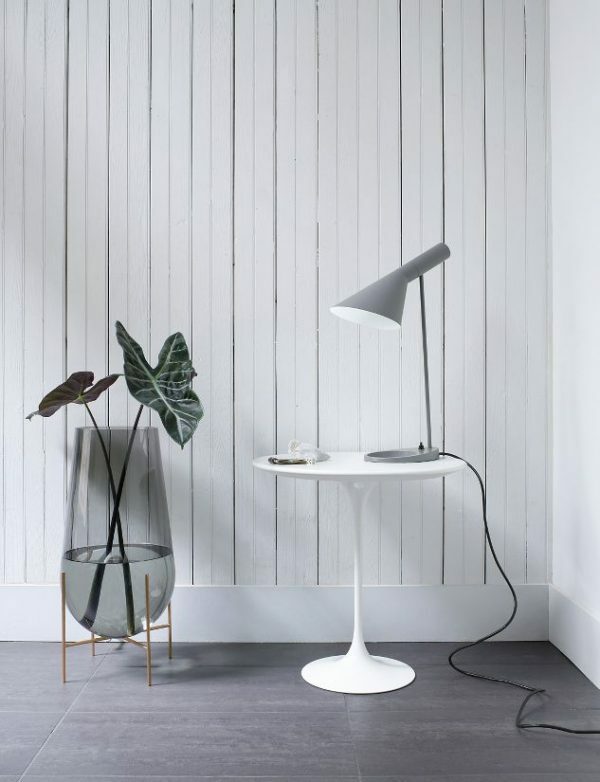 Great for small spaces with their compact size and minimalist aesthetic. 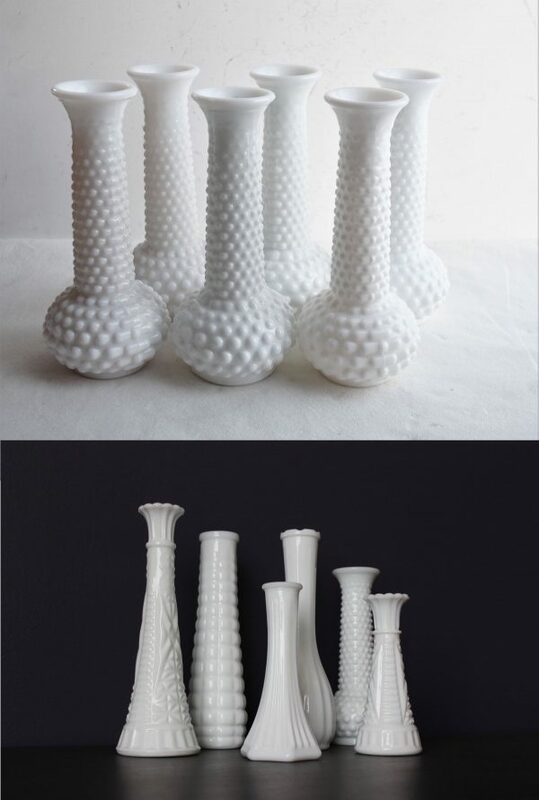 Test Tube Vases: Another test tube style vase, but with 9 times the fun. 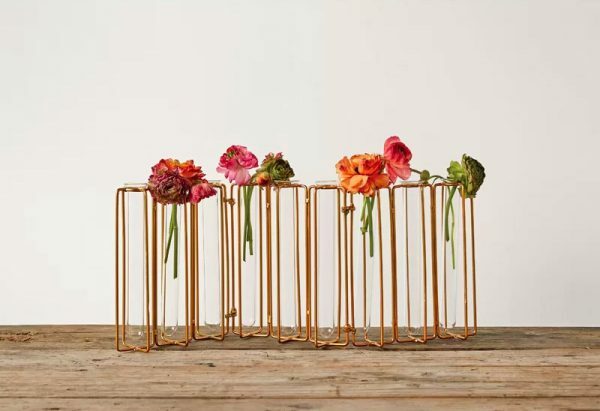 When you display your bouquet in this 9 tube vase, it is sure to garner tons of attention. Colored Glass Sculptures: If you have a room that is yearning for a pop of vivid color then this vase should definitely be on your list. A fun and vibrant design piece that is available in an array of colors. 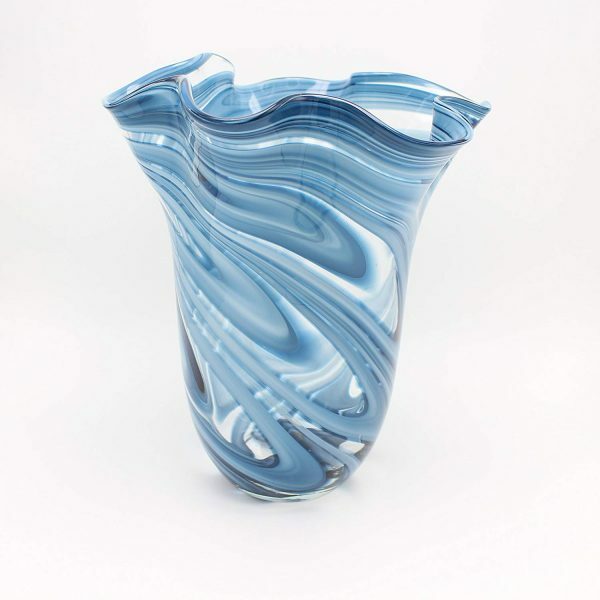 Sculptural Blue Glass Vase: We can practically hear the soothing ocean waves while looking at this sculptural vase. If you are also loving this beachy beauty, then be sure to checkout this other model that drives home the same effect. Mercury Glass Vase: This mercury vase is both elegant and modern with its geometric form and gold touched finish. Perfect to hold a few plant clippings, like the Monstera leaf shown above. 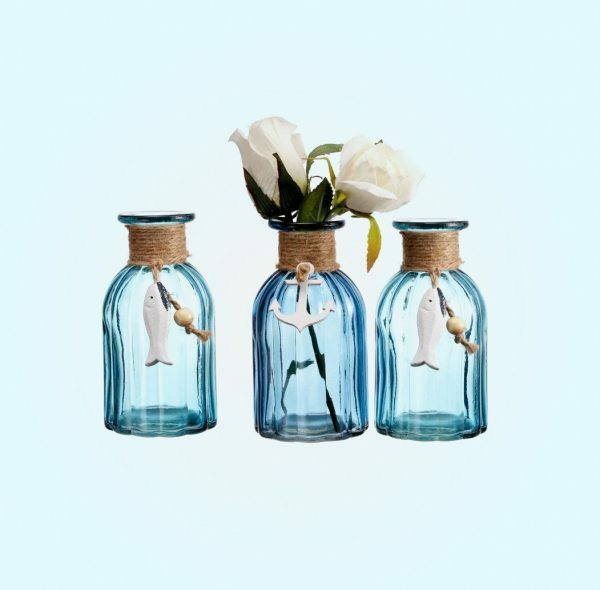 Nautical Themed Glass Vases: Bring home the serenity of the beach all year long with this trio of nautical blue vases. 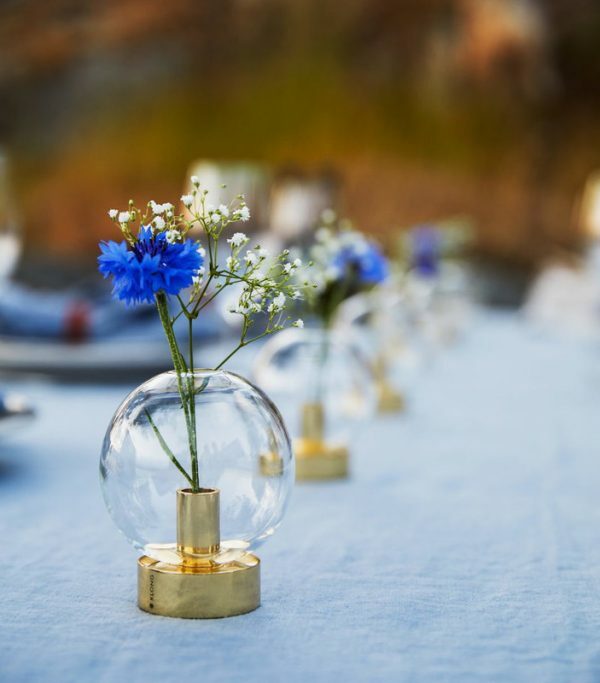 Featuring lush blue glass accented with twine and a dangling ornament, these glass vases are the definition of fashionable fun. Nautical home decor at its best! 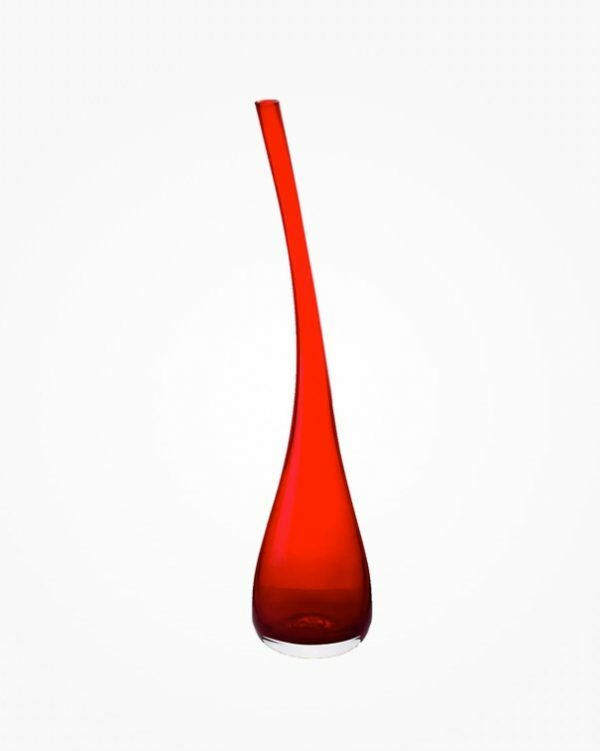 Tall Red Glass Vase: Grab everyone’s attention with this slender, red vase that you just can’t miss. Its tall body and rich red hue have this vase oozing with a romantic, sensual vibe. 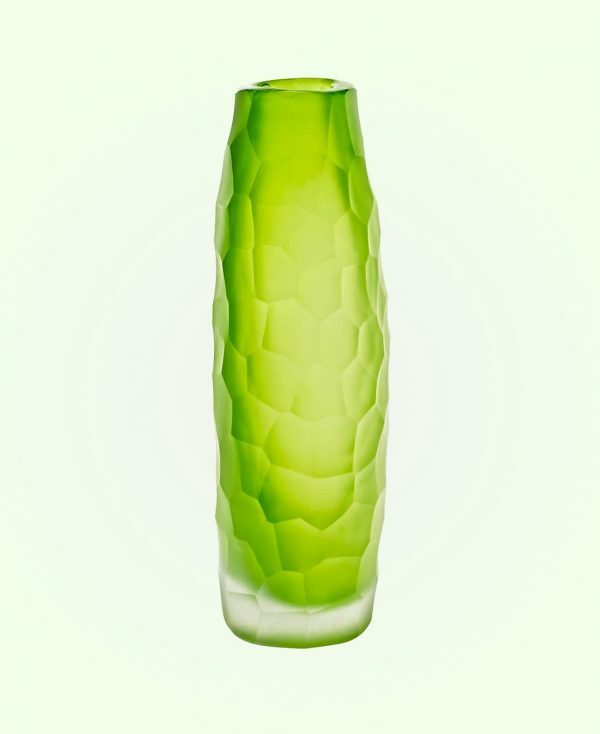 Green Glass Vase: Green and gorgeous, this unique vase feels fresh and inviting. Each one is unique as it is crafted manually using an ancient process that allows for the inclusion of bubbles and color irregularities. 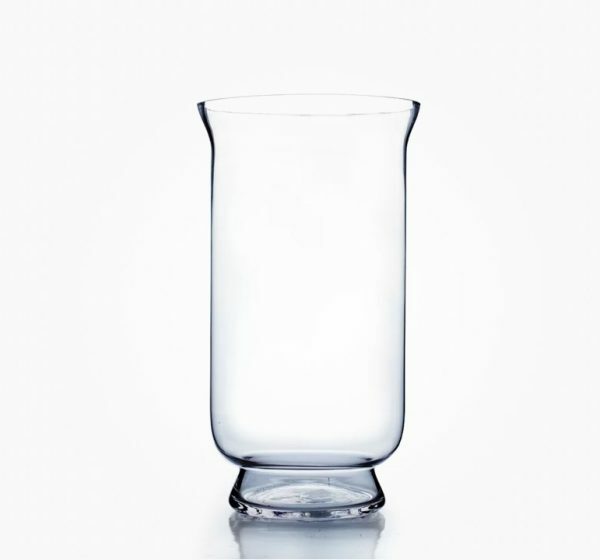 Hurricane Glass Vase: When you need simple, a hurricane glass vase is a go-to that won’t regret. 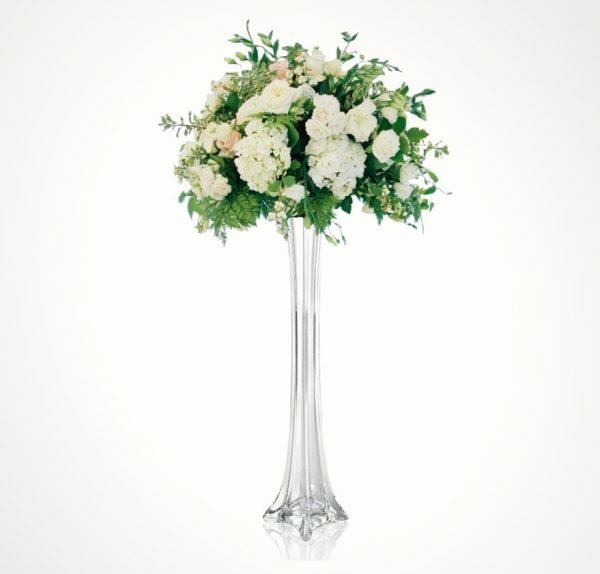 Its clean silhouette and clear glass make it the perfect choice for large, robust bouquets that don’t want to compete with their vase for attention. 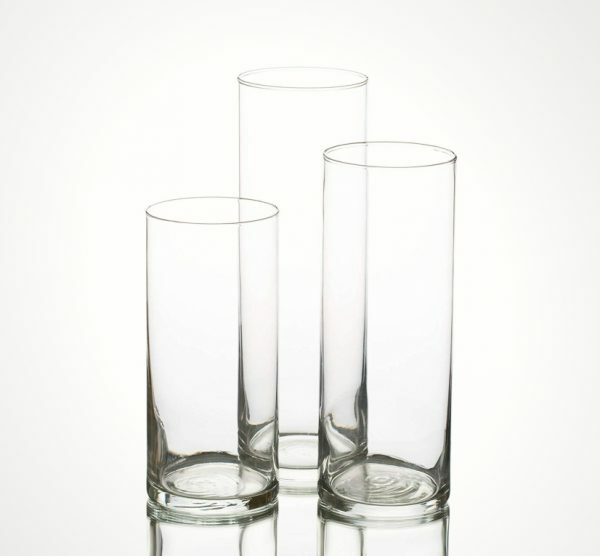 Tall Clear Glass Vase: Sleek and slim, think of this stunner as the champagne glass of the vase world. An elegant choice to put on display with flowers or as is. Faceted Cyan Glass Vase: With an oceanic vibe and an unusual, wide silhouette this vase encompasses the feel of the beach in a poignant way. Glass Vase With Concrete Base: Because you know we are all about that base! 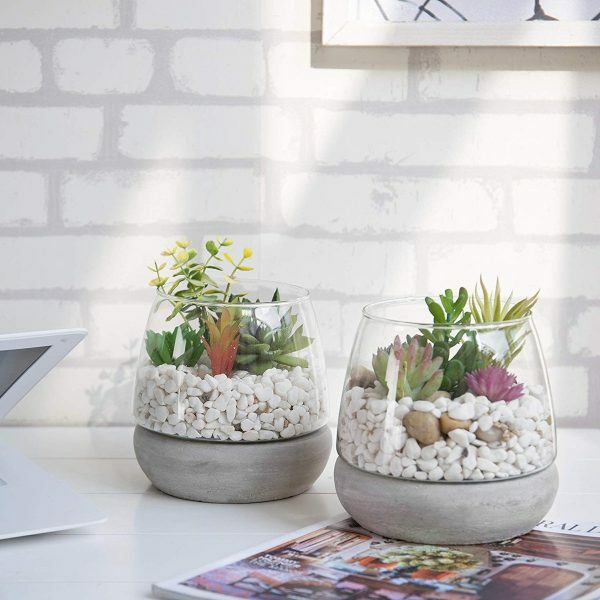 These glass and concrete vases are an ideal option for all you serial plant killers out there—the perfect place to house succulents or even a few tidbits of fake foliage. Échasse Vase by Menu: Go big or big home! 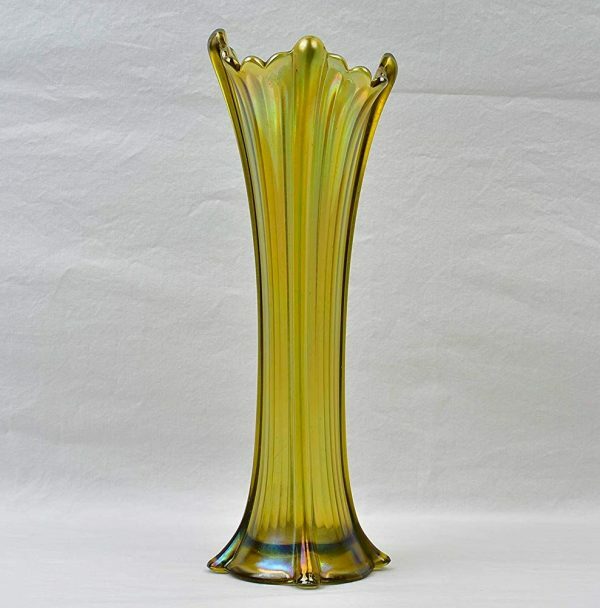 This glass vase will absolutely not go unnoticed with its large stature and sleek, golden stand. Orbis Vase – Brass & Glass: Brass, glass, and class. What more could you want? The unusual Orbis vase may be small in size, but it is always big in style. 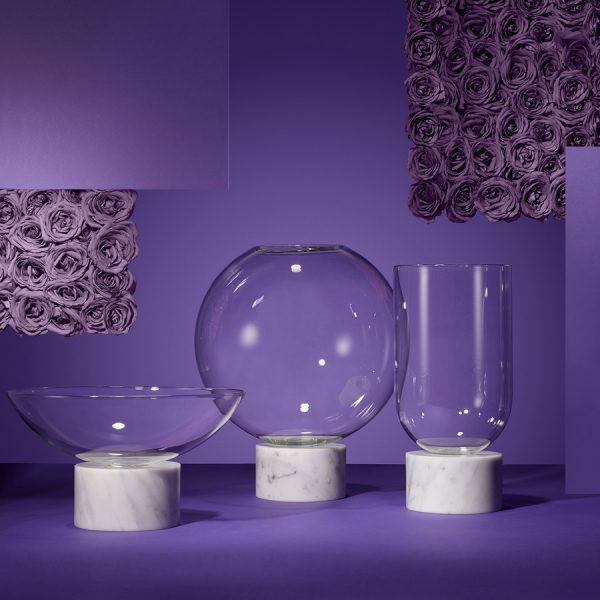 Podium Glass Vases On Marble Base: Nothing says luxury quite like marble and these glass vases know it. 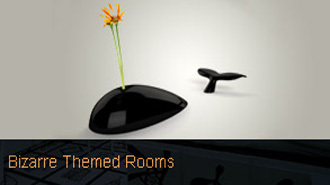 Perched on a cylindrical marble base, these unique vases are available in an array or shapes and sizes. 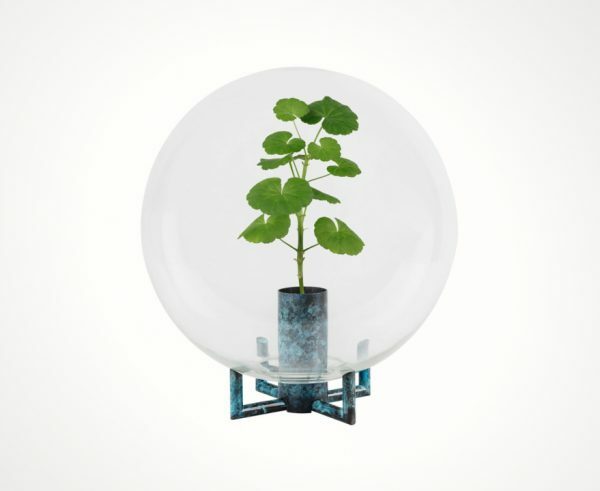 Glass Orb Vase: A glass vase with an industrial twist. You won’t find anything quite like this vase with its bubble dome and unique base. 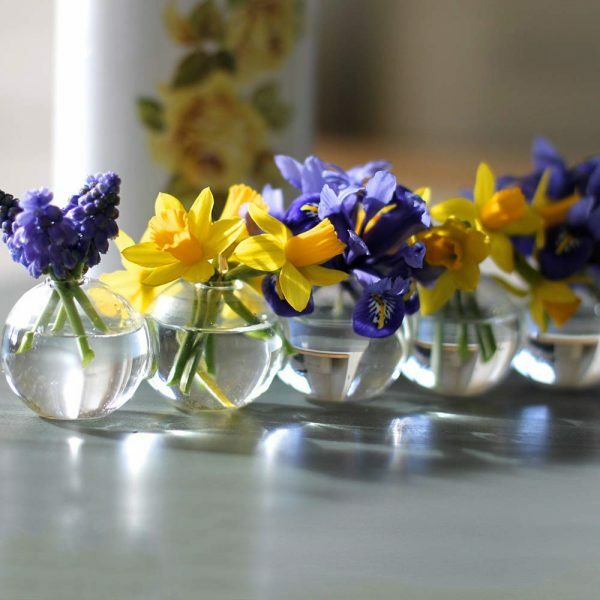 Interconnected Glass Ball Vases: Sleek, simple, and affordable, these interconnected glass balls are a classy accent piece for the mantel or table. 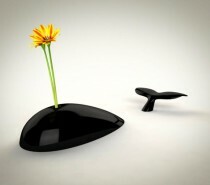 Delta Vase by Mart VAN Schijndel: A vase for those who love when simplicity meets the unexpected. 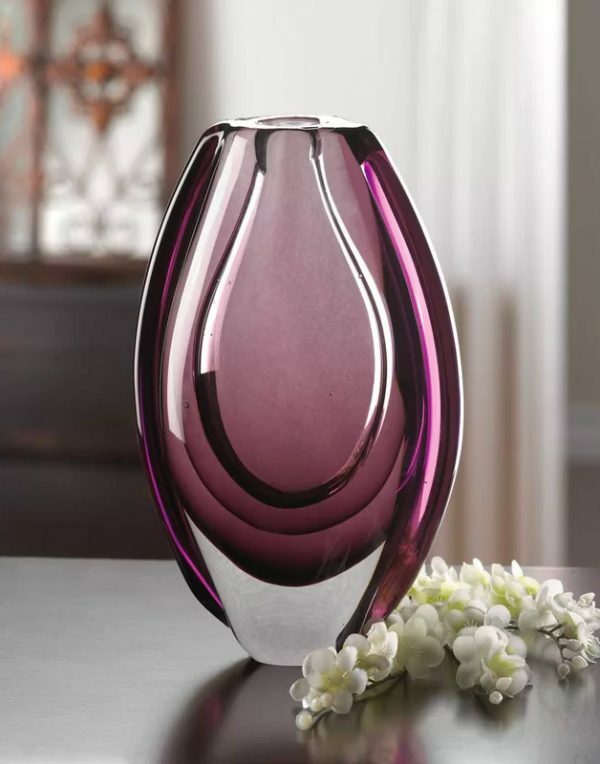 This vase and its edgy shape will help make any bouquet unique. 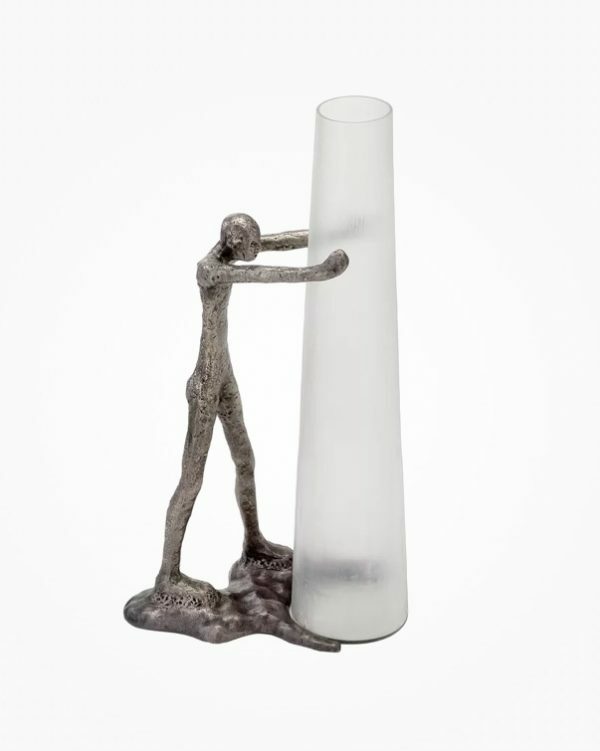 Tall Glass Vase With Sculpture: Custom cast metal and chiseled glass pair together for this quirky accent piece. Keep it as is or add in a couple of flowers to infuse this sculpture with a splash of color. Cylindrical Clear Glass Vase With Iron Stand: Turns out that vases aren’t just for flowers anymore. 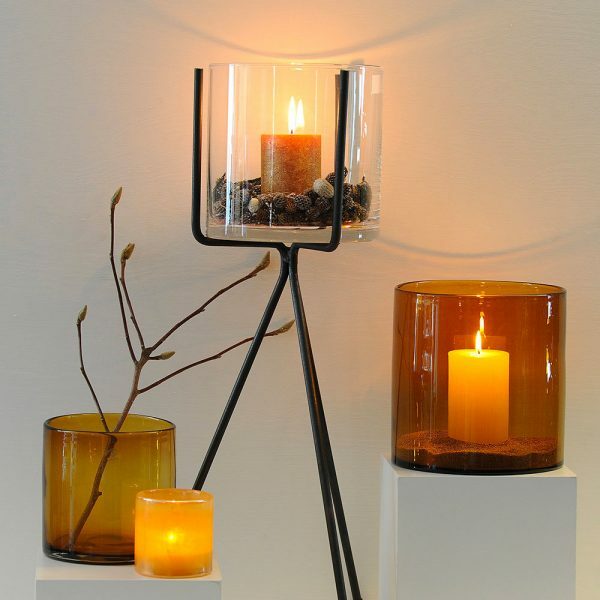 This cylindrical vase looks extra stylish perched on its stand with a candle ablaze. 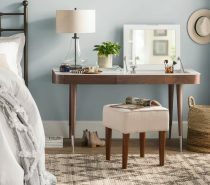 A great way to infuse any room with a bit of hygge. 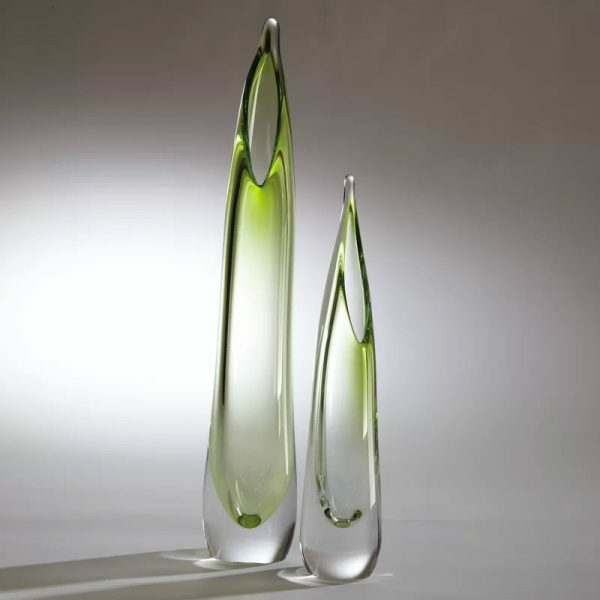 Stalagmite Glass Floor Vase: With their unique shape and hint of color, these vases are a true work of art. Although these vases are modeled after the stalagmite found on cave floors, we don’t recall any mineral deposit being quite this fashionable. Available in Wintergreen, Red, or Lime (shown). 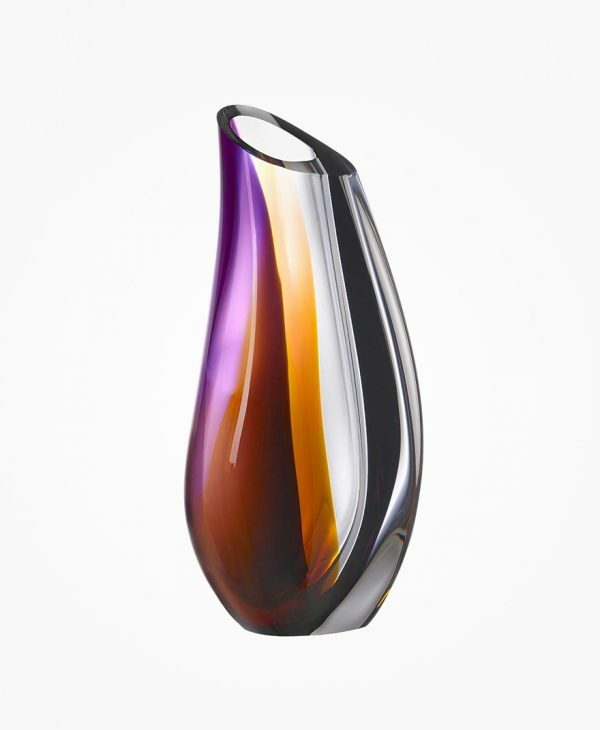 Kosta Boda Orchid Vase: With warm shades of amber and purple, Goran Warff has created yet another unique vase. This hand crafted vase is wonderful for any room that could use an infusion of color. Nightfall Glass Vase: Resembling the sun settling among the horizon, this vase has us mesmerized with its colorful motif. Muuto Elevated Vase: Muuto hits another home run with their Elevated Vase. It is available in the 3 colors shown and looks absolutely divine filled with flowers, greenery clippings, or branches. 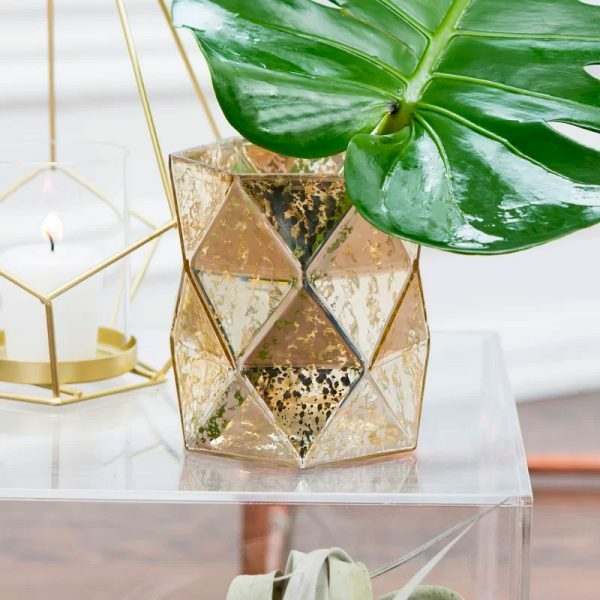 Gold & Clear Glass Vase: A touch of gold is a surefire was to add a bit of lux and warmth to any space and these gold vases are begging to do the job. Willmann Glass & Concrete Vase: This curious design balances glass and concrete in an eye catching way. Put a few blooms in this vase and they will surely be noticed! 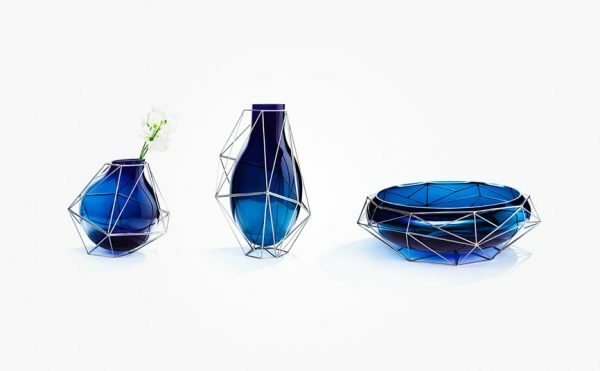 Caged Glass Vases: Not even a cage can contain all the fabulousness of these blue beauties! Whether filled with your favorite stems or left empty as decorative accessories, these will look perfect wherever you place them. 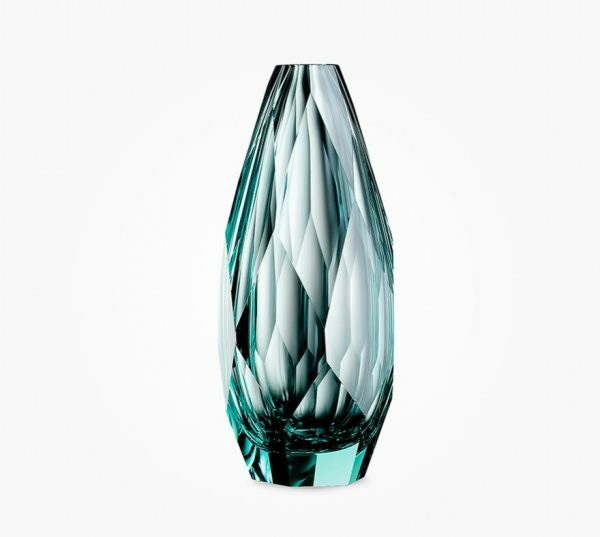 Luxury Glass Vase: A vase that will give any table a touch of architectural elegance with its irregular shape. Made with handblown, eco-friendly glass crystal. Alvar Aalto Vase: An innovator of organic design, Alvar Aalto is the mastermind behind this vase with its soft curves and unusual shape. Although it was originally created in the 1930’s, this iconic design piece is still popular among interiors today. 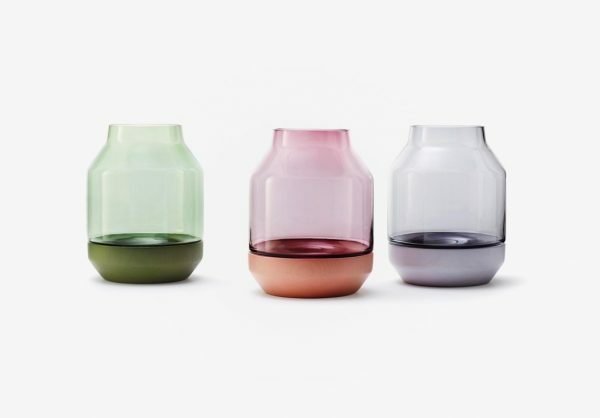 Cylindrical Glass Vases: No bells or whistles, this cylindrical vase means business. A highly affordable option for those who want their floral arrangements to do most of the talking. 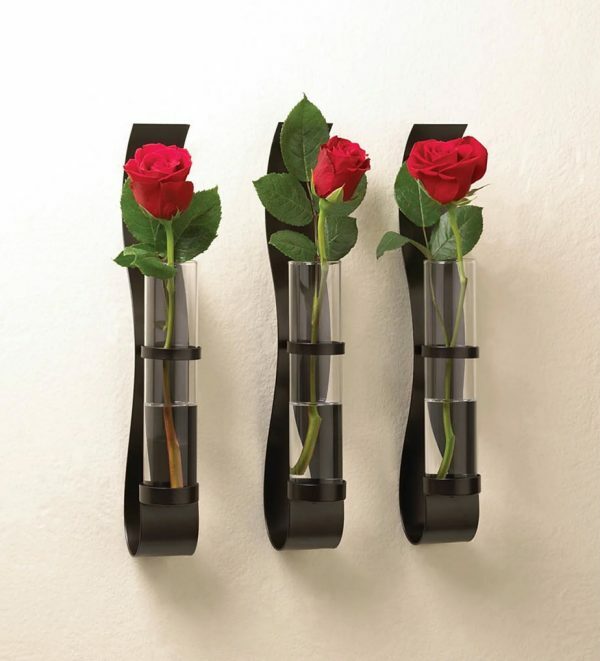 Wall Hanging Cylindrical Glass Vase: Roses are red, violets are blue, we love these glass vases, and you will too. 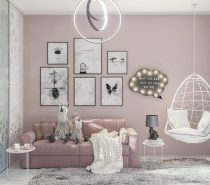 This wall hanging trio can help you instantly gear the mood of any room to your desired ambiance. Want some romance? Fill them with roses. 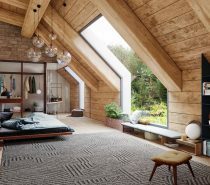 How about some modern charm? Try a few leaf clippings from a Monstera plant or the like. 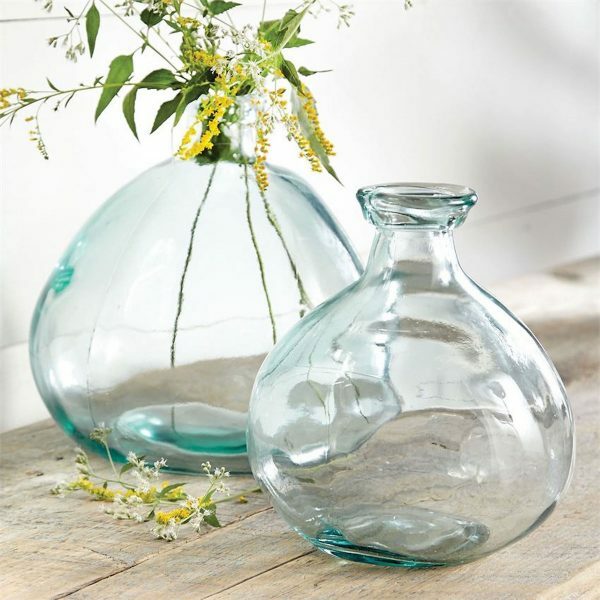 Round Wall Hanging Glass Vases: We think that these glass vases are absolutely deVINE. 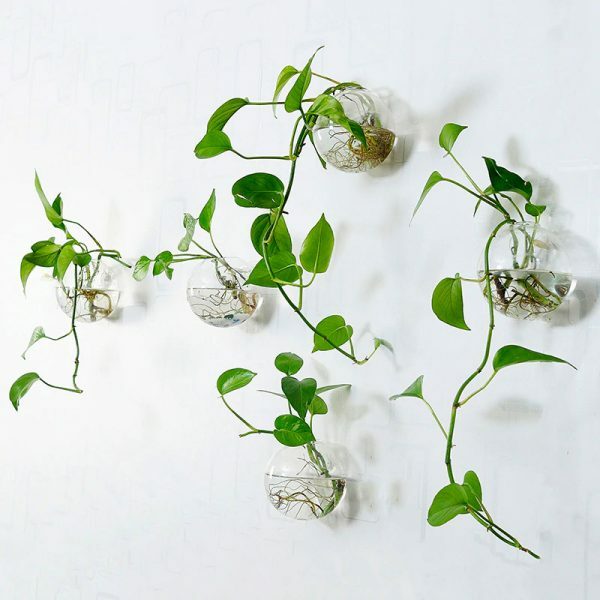 Great to fill with plants that will grow in water, like Coleus, English Ivy, Dumbcane, or Pothos (pictured). Glass Eiffel Tower Vase: A tall glass vase that is overflowing with a delicate grace. A great piece for table settings or wedding centerpieces. 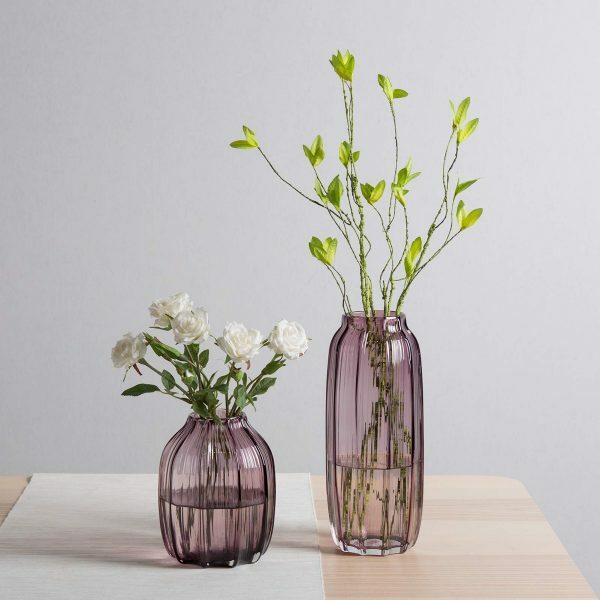 Hand-Blown Double Ear Glass Vase: Double the ears and double the style, this handblown vase is crafted from environmentally friendly glass and is available in 3 sizes. Fenton Milk Glass Vases: First made in Venice in the 16th Century milk glass vases are a classic with their white color and array of designs available. Great for mixing and matching with their uniform finish that helps make any grouping into an instant collection. Vintage Carnival Glass Vase: Carnival glass, aurora glass, dope glass, rainbow glass, or taffeta glass, no matter what you want to call it, this vintage style vase that will add a dash of vintage charm to any bouquet. If you want to go down the rabbit hole of vintage, carnival glassware Etsy also has a great selection.